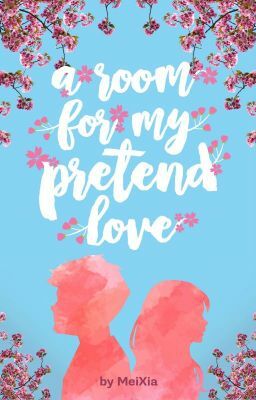 🌸WATTPAD FEATURED STORY🌸 [Winner of 14 awards. Highest rank: #34 in Romance (17 September 2017)] "Can I stay with you tonight?" When Suki asked that question from Devin, a complete stranger, she was desperate and had nowhere to go. She only wanted a place to stay for one night to think about what to do next. What she never expected was for him to offer her a room to stay until she sorted out her life. The catch? She had to pretend to be his girlfriend to ward off his loving yet pushy mother. Pretending was fine. She had done it all her life. Yet what will happen when the man she'd been pretending to love asks for a permanent room in her heart? --- Awards: 1st Place at The Rarity Awards 2017, Romance Category 1st Place at Skull Awards 2017, Romance Category 1st Place at The Royalty Awards 2017, Romance Category 1st Place at The Gold Awards 2017, Romance Category 1st Place at the Wattpad Oscars Award 2017, Romance Category 1st Place at The Holo Awards 2017, Romance Category 1st Place at The Z Awards 2017, Romance Category 1st Place at The Purple Awards June 2017, Romance Category 2nd Place at The Discourse Awards, Romance Category 2nd place for Best Romance at The Romance Awards 2017 2nd Place at The Talent Award 2017, Romance Category Runner up at The Dream Book Awards 2017, Romance Category 3rd Place at The Monthly Elimination Awards (August 2017), Romance Category 3rd Place at the Paint Awards 2017, Romance Category ---- Author's notes: This is my first time writing a novel so please feel free to offer suggestions and leave your comments. I have a general plot in mind, but I write the details as I go along so if you spot inconsistencies, do point it out.